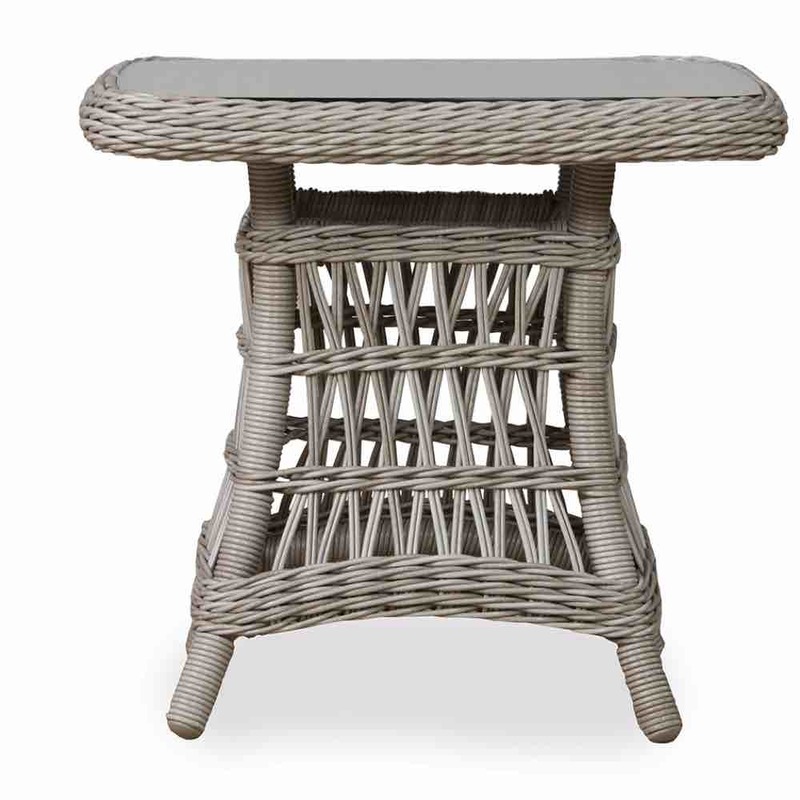 An open weave 24.4" outdoor wicker end table with lay-on-glass from the Mackinac collection by Lloyd Flanders. Attractive woven top so you can see the weave through the glass top. Romantically styled Makinac emphasizes style along with making this one of the simple pleasure of life. Lloyd Flanders Mackinac collection is one beautiful set and this table just emphasizes that fact. 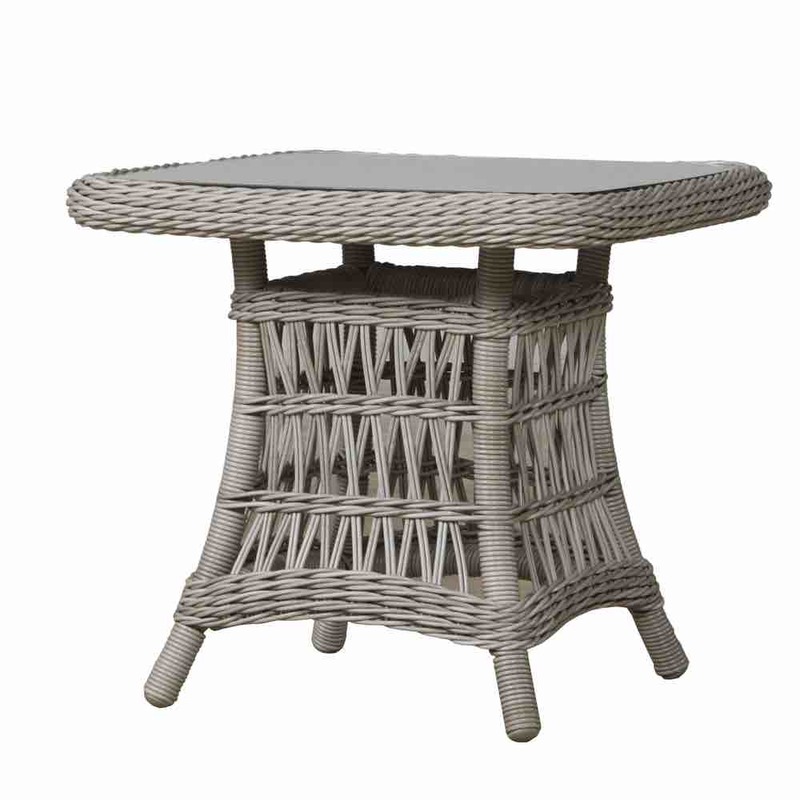 Try this 24.5" end table with your wicker set. The frame is aluminum and the resin weave is 100% vinyl. By following the care instructions, your wicker furniture will last a very long time while looking and feeling great the whole time.